It’s easy to quickly jot down an email and send it to a co-worker, boss, or even client. We know how busy the day can be, and taking a few extra moments to edit an email may seem wasteful. 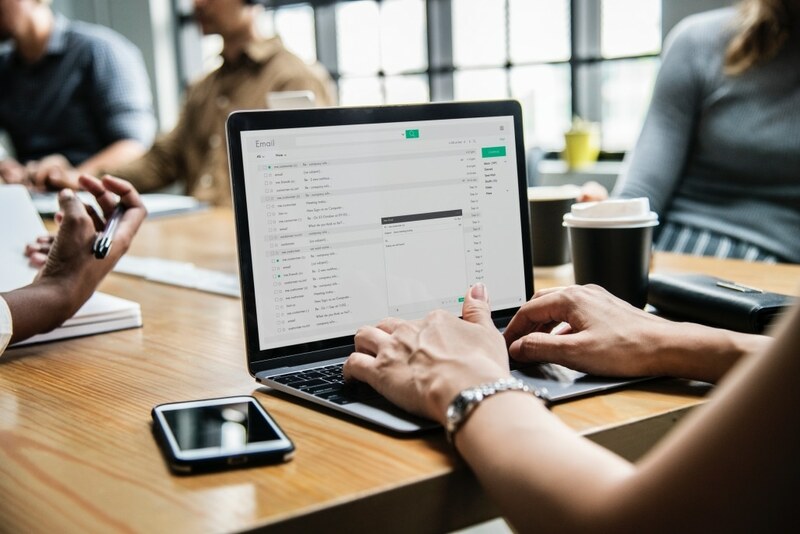 However, learning key strategies to avoid common mistakes made in emails will help you appear far more professional and increase your communication skills immediately! Subject Line: Your subject line must be clear and detailed! 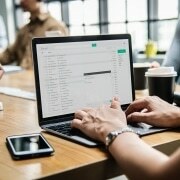 If you are writing an email to communicate a future date in which you will be absent at work, don’t: make the subject line “future date,” try something more along the lines of, “Upcoming Work Day Conflict (insert date)”. Doing so will allow your recipient to predict what your email will entail, and will increase their initial engagement. Punctuation: It is super important to use proper punctuation. Finish sentences with periods, question marks, or exclamation points if necessary. Remember, an email is not a chance to take notes! It is your opportunity to communicate opinions and statements professionally, do so with punctuation as you would in a formal paper. Question Marks: Avoid using too many question marks, it could appear aggressive or interrogative. Exclamation Points: Be aware of the way your firm communicates. Do your bosses use exclamation points, or do communication methods seem more formal? Try to use exclamation points sparingly (no more than 1-2 per email). Greetings: Awareness of the way you greet your recipient is another measure of setting up the tone. If you are writing a formal email, use “Dear”, however, less formal messages may start with “Hi,” “Hello,” “Greetings,” etc. Closings: The closing is likely the last thought that will linger with your recipient. Be conscious of the way that you leave your impression. If you are seeking a specific solution, trying to persuade, or thanking someone, make sure to re-establish this thought in the last sentence or two. Almost always thank the person you are speaking to! This will help them feel valued. Final Closing: Use an appropriate sign off to who you’re speaking to. Some proper closings include, “Best,” “Best regards,” “Kind regards”… several more included in thebalancecareers.com’s article! Grammar: If this blog is making you nervous about your grammar awareness – don’t fear! Installing Grammarly will solve your grammar needs by checking for you. We highly recommend this installment, as it will point out common mistakes you may look over daily. Concision: It’s just as easy to ramble as it is to create careless emails. Always be aware of the recipient, implementing a “you” view, that is, being aware of their time and busy schedules. Keep emails clear, concise, and to the point almost immediately. Read through emails for extra words, phrases, sentences, or pieces of information that could be condensed or combined. Extra Note: Make an effort to almost always establish the key point of the email within the first few sentences or paragraph. Tone: Especially on days where you feel you may just explode, make sure to reread the emails you create to ensure that they convey the tone you intended! If you feel upset or disappointed in your firm, team, or coworker, try to circle back to the email you created a day or so later, before sending an aggressive message that will not help you accomplish your goal. Tips: When encouraging change, try positive language (ie: “What if we…”). Also remember, when delivering negative news, begin with a positive note, so that your reader does not feel attacked. Bolding, Bullet points, Formatting: We encourage bullet point lists or bolded words to draw attention to specific aspects of your message. However, make sure the formatting is easy to follow. With these tips, you are sure to create productive, effective, professional emails! If you’re looking for some help or critique…feel free to test one out by sending one to me at hannah@esquire-recruiting.com! Searching for a new position? Practice your skills by sending a resume over for any of our open jobs! Check out our article to learn about more common mistakes made…but on resumes! https://esquire-recruiting.com/wp-content/uploads/2018/10/adult-business-businessman-1061588.jpg 1000 1500 Esquire Recruiting https://esquire-recruiting.com/wp-content/uploads/2017/08/esquire-recruiting-chicago-300x138.png Esquire Recruiting2018-10-18 17:28:412018-10-18 17:28:41Avoiding Email Mistakes!